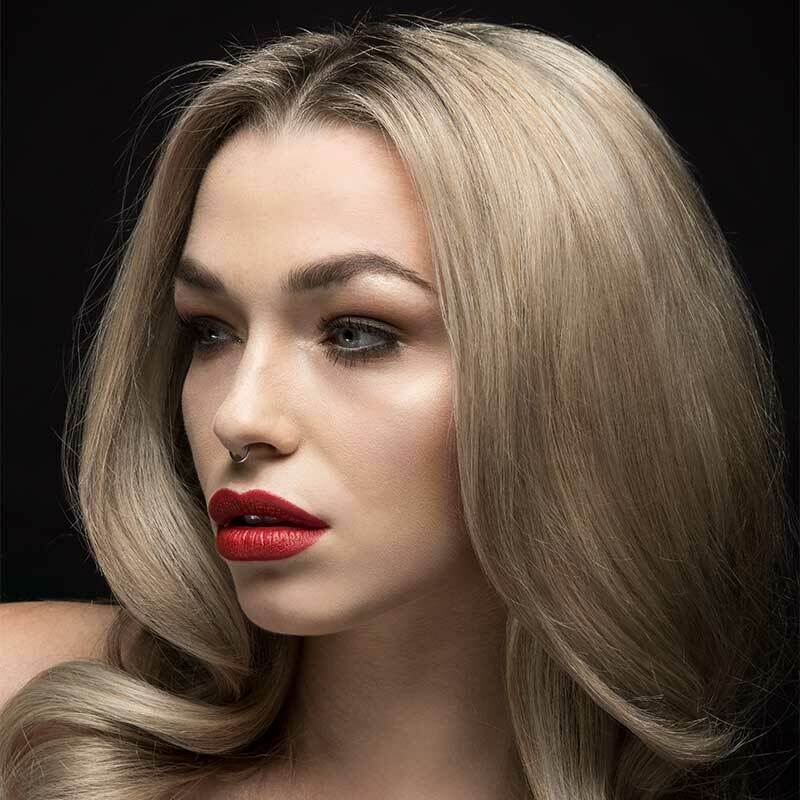 Here at Salons Direct, it is the fantastic brands that we stock that help us to be the very best wholesale hair colour supplier for you, our cherished clients. In our brand spotlight series, we speak directly to our favourite brands to find out how they began, what inspires them and how they see their industry shaping. This month, we are with Zalon the leading hair colour removal brand. Tell us more about how the brand began? We were aware that consumers were wanting to change their hair colour more regularly, yet they were also concerned about the condition of the hair. We knew there had to be a better solution for salons to remove colour than the bleach bath. 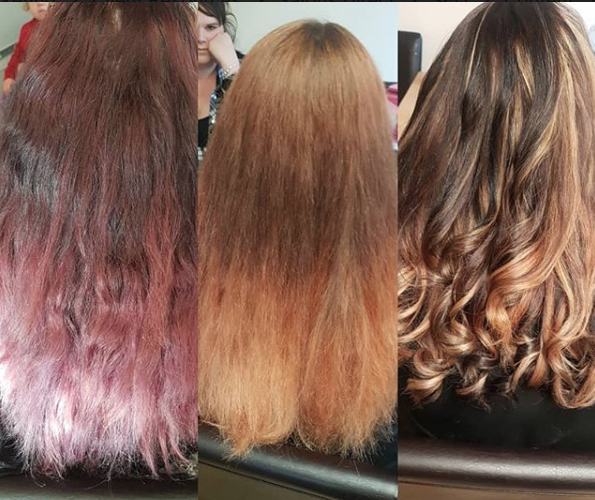 We wanted a product that was ammonia and bleach free, quick and easy to use, smelt good and left the hair in excellent condition – Zalon Pro London Colour Remover was the answer. What do you think sets Zalon Pro apart from your competitors? 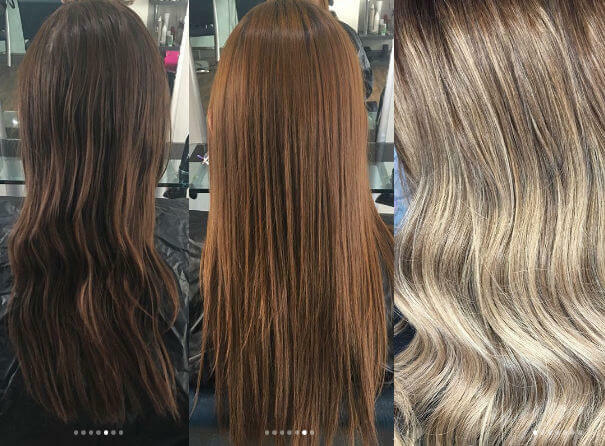 Zalon is so simple for stylists to use – they can mix the product and apply to their client’s hair knowing they can walk away and come back half an hour later with the assurance that with a thorough rinse the colour will be removed and the client will be back to their base colour giving them a blank canvas to work on. They get even greater confidence knowing that because there is no bleach or ammonia they can also leave it on for longer with no fear of the natural colour lifting or the hair getting damaged. The hair is left in a similar or better to condition after the process. In comparison to using a bleach bath which can leave the hair dry and porous. From our research, we class our biggest competitor as bleach bathing, as this is the go to treatment for colour removal and colour correction within the industry. Zalon has been fragranced to avoid any harsh chemical smells. Zalon will not touch the natural pigment of the hair. Instead, it targets the artificial colour molecules and using a gentle process, shrinks them down, allowing them to fit through the cuticle and be rinsed away. Zalon is easy to apply and takes just 30 minutes to develop. In addition, there is no need to monitor the effects, as the process stops itself once completed. How have trends within the business of hair colour evolved over the years? It’s all about choice for the client. Some want more natural colours, some want bright and vivid colours but they all expect so much more in terms of the colour result, the condition of the hair and the ability to have something different on their next visit. What has been the brand’s greatest success? Campaign? Product? We are at the start of our journey, but we are really excited about our campaign to #BanTheBleach and also to get salons to use #ZalonIt to showcase their Zalon transformations. We love seeing the pictures that salons and freelance hairdressers share on social media after they have treated a client with Zalon. Tell us more about your product range? There is currently only one product in the range, available in two different sizes; 1 application and 5 applications. 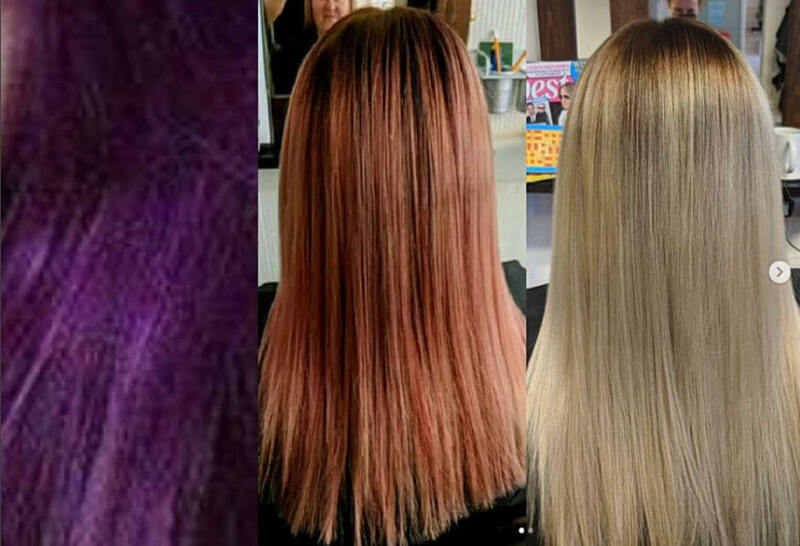 The Single Use product is proving popular with the mobile hairdresser picking one up knowing that they have a client looking at a colour change or colour correction. We also see salons using one to try and then coming back to buy the larger size. The Salon Size product is being picked up and used in the salons for the same reason as above. However, they are keeping the product in stock, just in case they get a client that wants a colour change or a colour detox. Where do you see the future of hair colour heading? Clients are more aware of the colour choices available to them and thanks to social media they don’t always see the hard work that the colourists puts in to ensure a great result and maintain the client’s hair condition. We are sure that Zalon will become a key tool in every great colourist’s toolkit. What can we expect from Zalon Pro throughout 2017 and beyond? We are planning a new photoshoot to showcase techniques as well as pushing the #BanTheBleach and #Zalonit campaign, plus we’ll be continuing to showcase our favourite transformations with plenty of prizes on offer for the best ones. So get your images over to us using the hashtags to be in with a chance to win prizes in 2018! 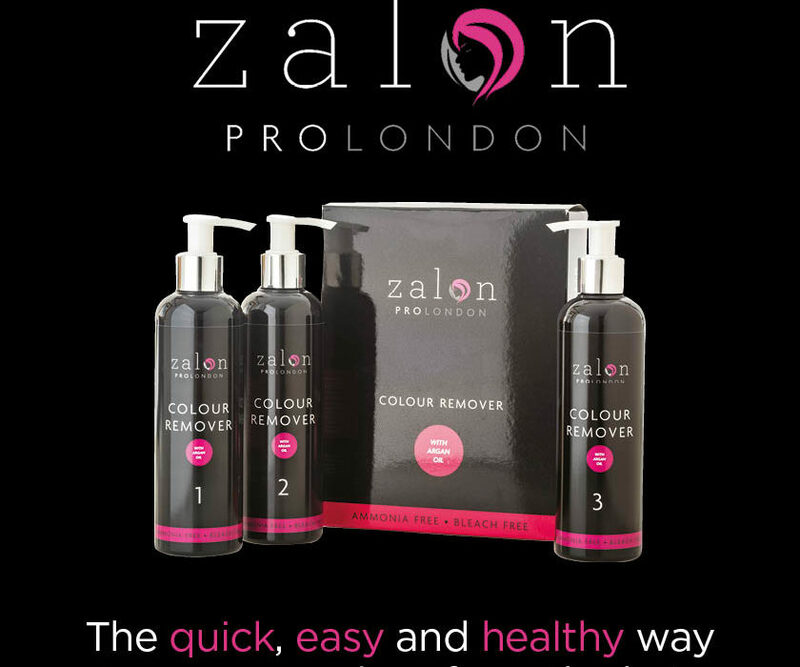 Zalon Pro London Colour Remover is the quick, easy and healthy way to remove colour from the hair. It’s ammonia free and bleach free and also contains Argan Oil to add shine and condition the hair. Shop Zalon Pro London Colour Remover here. How Does Zalon Colour Remover Work? Bottles 1 and 2 are mixed together (equal parts each) to activate the product. This is applied to the hair with a tint brush and left to develop for 60 minutes. The hair is then rinsed with warm water for 5 minutes. Bottle 3 is a shampoo-like buffer that is lathered into the hair, left for 1 minute, and then rinsed for 5 minutes. The hair is then ready to begin the colour service from a completely blank cavas. We always recommend a strand test prior to the process. This will determine the colour that is likely to be achieved and that all previous colour molecules have been removed. Natalie wanted to change her base 6 brown hair and go back to her previously bleached and highlighted hair. 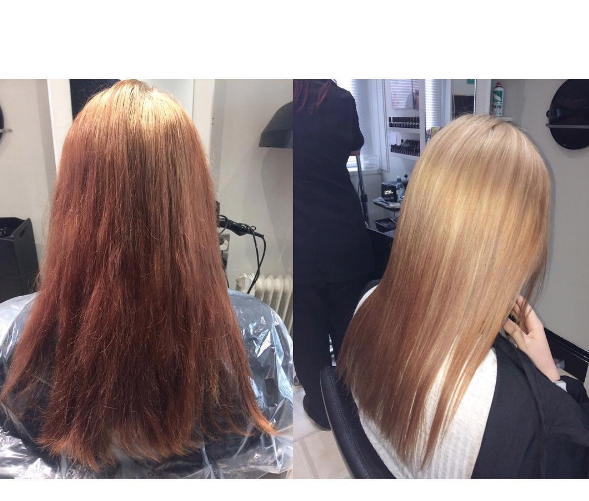 Zalon allowed this to be done by removing the artificial colour molecules, leaving the hair’s natural lighter pigment. The stylist then applied highlights without having to use any bleach prior to the colour service, which has left Natalie’s hair in much better condition, despite achieving 4-5 levels of lift! How does Zalon Hair Colour Remover Work? Zalon works by reversing the oxidation process. The artificial colour molecules in the cuticle are trapped and cannot release because they have expanded during oxidation and are too large to leave. Zalon shrinks the artificial colour molecules and washes them away from the hair revealing the lightest previous shade. 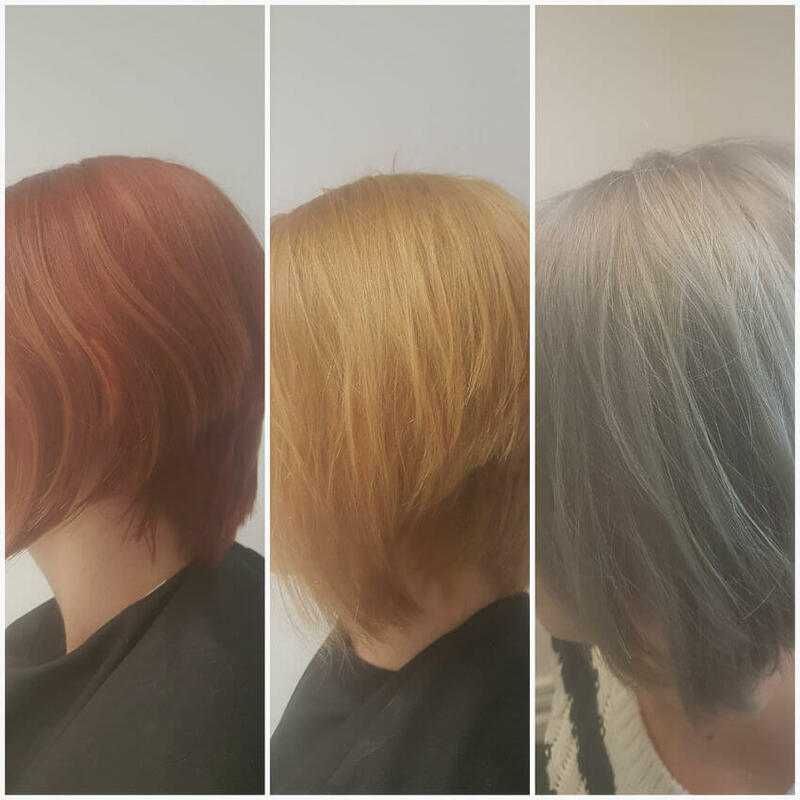 This shade may be lighter than the natural colour as bleach and ammonia from previous colour treatments may have lightened the natural pigment. Who is Zalon Hair Colour Remover suitable for? Zalon is suitable for anyone who has colour their hair with an oxidised colour. Zalon will remove all colour irrespective of how long you have coloured your hair. There are certain conditions, such as silicone damage that may trap the colour molecules, which may stop Zalon from penetrating the cuticle. This is one of the reasons a strand test is recommended. Why should I use Zalon Hair Colour Remover? When you want to change your hair colour or want to detox your hair. In addition to removing artificial hair colour, Zalon will also remove residues from shampoos, conditioners and styling products as well as pollution. Zalon will remove hair colour even if it has been in the hair for months or even years. Use Zalon to safely and gently remove artificial hair colour without causing damage to the hair, and allowing you as a stylist, a blank canvas to work with. Why is Zalon Hair Colour Remover better to use than bleach stripping? Bleach is a harsh chemical that will damage the hair by stripping the natural pigment as well as artificial molecules. Zalon simply removes the artificial colour molecules without causing stress or damage to the hair or scalp. Does Zalon Hair Colour Remover remove all colourants? Zalon is extremely effective at removing all salon and at-home oxidised permanent colours. It will not work on non-oxidised colours (such as fashion shades e.g. pink, green, blue etc). It will also not remove bleach, as this has permanently altered the natural pigment of the hair. Can anyone use Zalon Hair Colour Remover? Zalon is intended for use by salon professionals only. It is not recommended to use Zalon if the client suffers from damaged or breaking hair or hair loss. Will Zalon dry or damage the hair? No. Zalon is a gentle chemical process that will remove all colours without affecting the condition of the hair or scalp. It is ammonia free and bleach free while also contains Argan Oil to add shine and condition the hair. Can I do a partial removal? This is possible although is not advised. Instead of the full 30 minute process, check the hair in good lighting every 10 minutes until the desired colour has been achieved, then rinse as instructed. Please note that there may be more colour molecules left in the hair than first thought, so there is a risk of re-oxidising. How many times can I use Zalon Hair Colour Removal? It can be used as much as you like without harming the hair, within reason. However, it is important to note that colouring processes often use ammonia and/or bleach, which will cause damage to the hair and scalp if over-used. Therefore it is recommended to leave time between colours and removals. Can I colour the hair immediately after using Zalon? Yes, however, it is also advised to strand test as the porosity of the hair will be unknown, which could result in the colour ending up darker than expected. Can I use Zalon Hair Colour Remover if I am pregnant? Yes, however, it is always recommended that you consult your doctor to be sure it is not going to affect you personally. It is also vital a patch test is performed beforehand to test for an allergic reaction. Why can I not see the colour when rinsing? Due to the process shrinking the artificial colour molecules, they are not visible to the naked eye. It is important to rinse for the length of time instructed to avoid the colour re-oxidising. Is it necessary to perform a patch test? Yes even if you are a regular user of Zalon. The body dynamics change constantly so it’s important to patch test every time. Can I add anything to Zalon, such as Olaplex? It is not recommended to add other products to Zalon, as this results in a chemical alteration which can change the effectiveness of the colour remover. When may Zalon not work? It is rare that Zalon will not work in removing hair colour. If colour still remains in hair after one application, a second treatment usually gives the expected results. Shop Zalon Pro London with Salons Direct here.